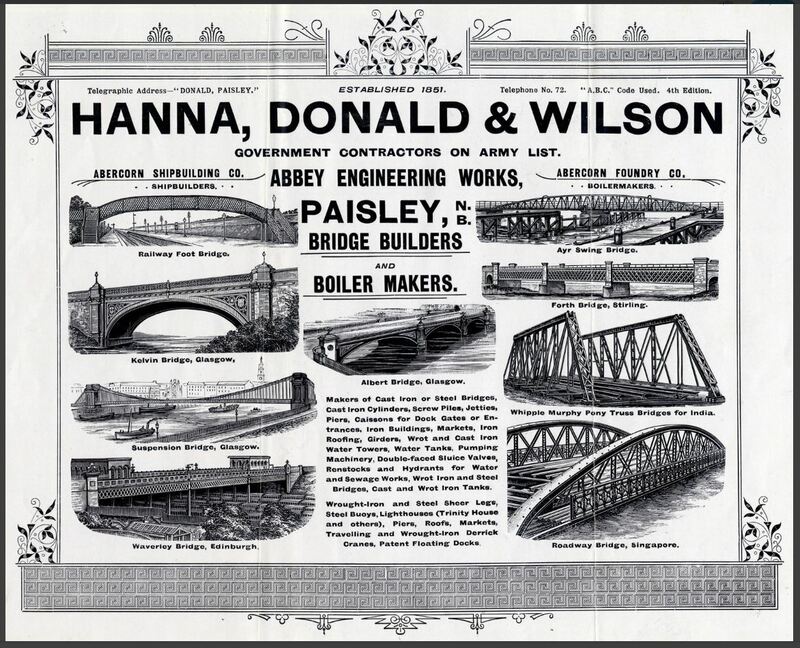 The Darnley Road/Moray Place footbridge at Regents Park Square was built by the Paisley engineering firm of Hanna, Donald and Wilson in 1877. The footbridge is an elliptically arched, cast-iron girder bridge with lattice railings which originally had steps down to the platforms of the station, which opened the same year. The steps down to the platform have been removed and the deck replaced with steel durbar plates. Curiously, for the first 85 or so years of its life it never actually reached the other side! Originally it only provided access from Strathbungo to the platforms of Strathbungo Station; there was no Darnley Road when the station opened, just green fields. 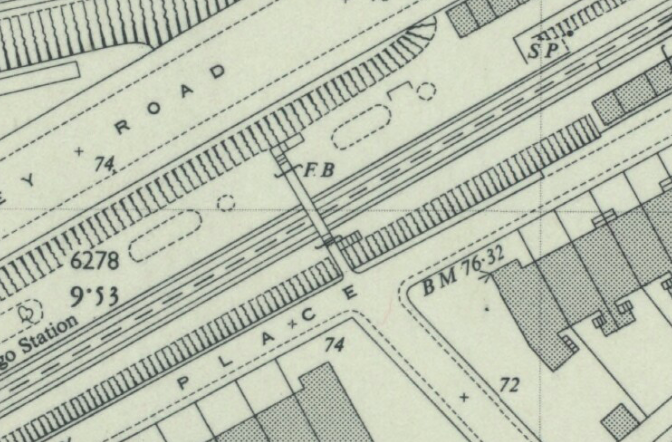 Even the OS Map of 1951-52 shows no extension to Darnley Road at that time, and so it seems likely the extension to the other side was only built when the station closed in 1962, perhaps using materials from the dismantled steps to the platforms. The bridge was C listed in 1995 after one Moray Place resident asked that it be taken down for security reasons and other residents took a different view! None the less its ownership has been recently disputed as no one wanted to be responsible for its likely future maintenance costs. In 2015 Network Rail accepted that it was responsible for the bridge, and agreed to refurbish it. Restoration commenced in October 2018. The manufacturer worked from the Abbey Engineering Works, and the Abercorn Foundry and shipyard, adjacent to the White Cart between North Croft and Niddry Streets, but was wound up in the 1910s. 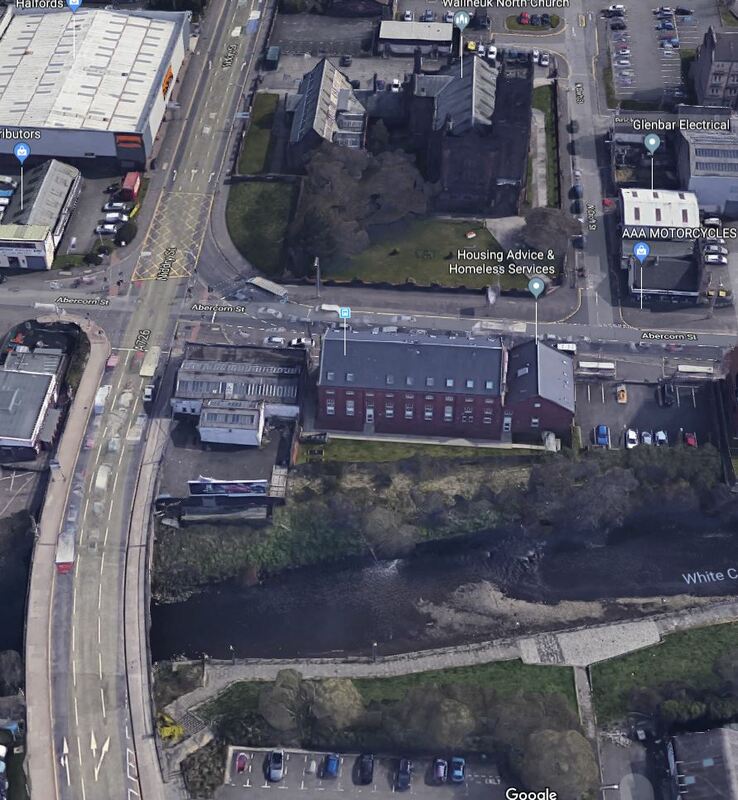 The Abercorn works is now the site of the Wallneuk North Church (1915), while in the 1920s Glasgow Corporation Transport built a transformer on the site of the shipyard to provide power for the tram network. The transformer building survives as the Housing Department. Hanna, Donald & Wilson built ships, including a couple of underpowered and unsuccessful naval torpedo boats, HMS Fervent & Zephyr. The ships were launched sideways into the White Cart. They also constructed gas holders, boilers, and a variety of other engineering products. 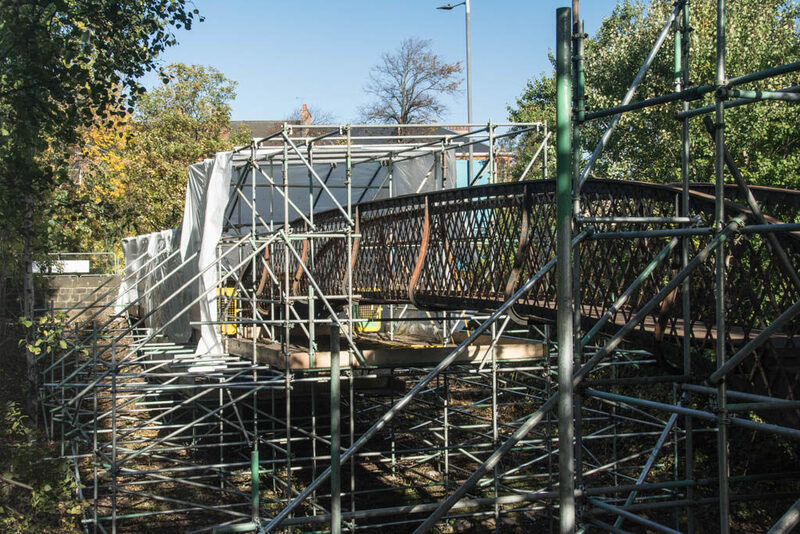 Their work on bridges included the Albert Bridge beside Glasgow Green, recently restored. They were evidently proud of their bridges, using several in one of their advertisements. And pride of place top left is Strathbungo’s very own footbridge! Strathbungo Station a year after closure. The Strathbungo footbridge is visible in the distance. 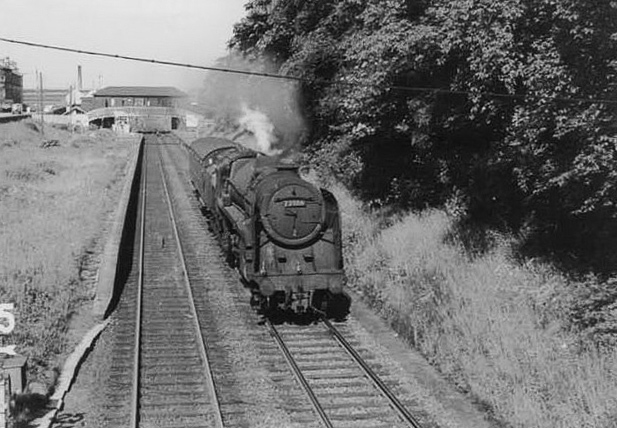 Clan 72006 “Clan Mackenzie” heads parcels train on 13th June 1963. Now, where do you think the photographer was standing? That’s for another posting. Photo courtesy John Robin. As born and bred and lived in Nithsdale Street for 18 years (1948-1967) before parents moved out to the outskirts, I used to be taken to my aunt’s in East Kilbride by train from Strathbungo Station. On the left embankment facing away from Glasgow (Moray Place side) was an iron horse’s head & neck of which I would ‘amount’ and dream of being the Lone Ranger while waiting for my train to come. I have been trying without any success to learn of the history, if any, behind the horse’s head, what became of it after closure of the station. 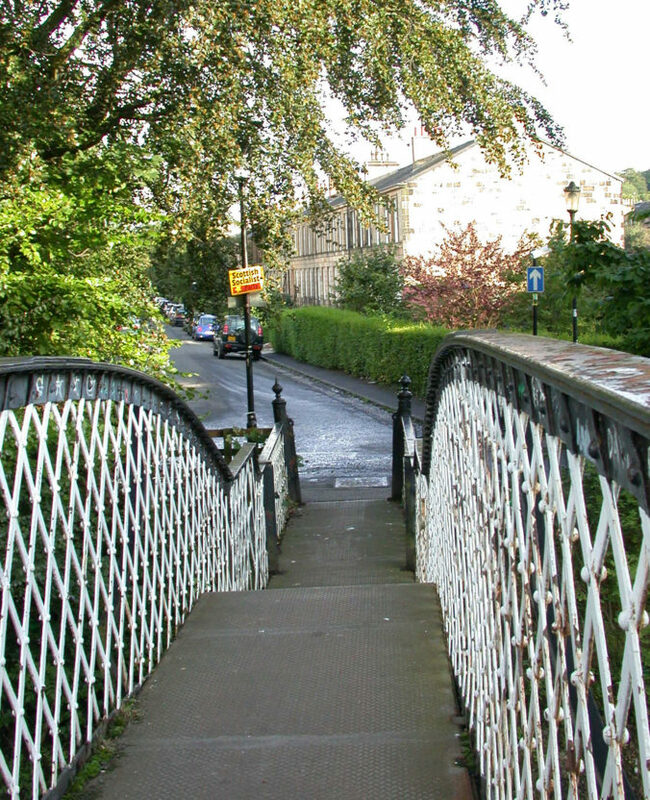 Seeing here that the footbridge was build by Abbey Engineering Works, Paisley, would it be possible that it was they who manufactured & put the head there, I wonder? Anyone have any gen or info about this? Now at least three people have asked the fate of the iron horse, but it remains a mystery. It may still be there in the undergrowth. For anyone else puzzling over this, there’s more on the Strathbungo Station page. Use Search, or click the railway tag at the foot of the article. Thank you Andrew. I very much doubt if the head may be still lying in the undergrowth as I pass the very spot occasionally;y when taking a train from Barrhead and have always scanned to see if there is any evidence. The head protruded up and out from the ground about a yard. Next time I am in the area I shall go over to the fence of where the head stood to see if there would be anything at all to uncover the mystery!